Exports of Swiss watches is growing rapidly.The Swiss watch industry continues to record rapid growth in exports of watches in the first half of 2012. 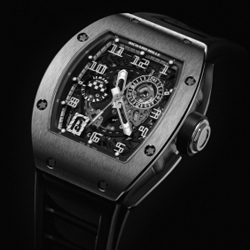 The Swiss watch industry continues to record rapid growth in exports of watches in the first half of 2012. The results of this year far exceeded the results of the same period in 2011. The total value of exports amounted to 10.1 billion hours of francs for six months, 16.4% higher than the results compared to last year. Strong growth was recorded during the six months, and it continues to grow, despite the strong competition and difficult economic conditions. The difficult situation in Europe and China, it seems, did not affect the growing demand, especially in the segment of Luxury. The bulk of exports go to watch. Their total value amounted to 9.5 billion Swiss francs. Watches made of precious metals, have recorded high growth, such demand was made of gold. Also increased the demand for products in the segment of hours worth of more than 3,000 francs. In the first half of 2012 in fifteen major markets, a tendency of growth. Hong Kong continues to occupy a leading position in exports. During the year the U.S. market stabilized. Despite the difficulties, the Chinese market is slowly increasing exports. In Europe, some markets, particularly Italy and France, the level of exports remained unchanged compared to the year 2011, but the German market was one of the fastest growing. In Asia, all reported positive results. Not far behind and the Middle East to the world average.